“The goal is to create an economically healthy company capable of competing in the European market with a safe ownership structure”, stated Poland’s treasury ministry, speaking about a plan to rescue Kompania Węglowa (KW) from bankruptcy. Months later, the Polish Government turned tail on the bailout after senior EC figures led policymakers to believe that the proposals, if passed, would breach laws on state aid. Fast-forward to today and Europe’s leading private coal company is suffering as a result of Poland’s refusal to kick its coal habit. Inasmuch as KW supplies the black stuff to approximately 60 percent of the nation’s power stations, it’s unsurprising its fate mirrors that of the national energy market. And, for as long as the health of KW, and that of coal generally, continues to worsen, so too will Poland’s economic vitality. A report, penned recently by the Polish Government, revealed that “in recent times” KW had been operating at a loss which, over an 11-month period, amounted to €270m. KW, according to the report, was and still is a business teetering on the steep side of a collapse, and the continued decline of coal prices in the months since has again highlighted the need for the company and the country to reconsider their unflinching commitment to coal. Going back to 1990, the country exported 28 million tonnes of coal each year, by far the most in all Europe. However, its share of the market had more than halved by 2012 and its leadership status went instead to the Netherlands. Worse still, while much of Europe has done away with coal in favour of cheaper, cleaner alternatives, Poland has stuck with it. Going by the latest figures, the resource accounts for an overwhelming majority of the nation’s power supply and employs upwards of 100,000 people. Yet the industry, and the economy at large, has suffered spectacularly in light of coal’s decline. “The reduction in export trade (due to cutbacks on coal use elsewhere) means revenues from markets that paid a better price have dried up, and makes supporting the cheaper local market less sustainable for some mines”, said Paul Baruya, an expert on global coal markets and trade, power generation trends and modelling at the Clean Coal Centre. The plight of once-prosperous mining communities across the Atlantic offers an indication of where the resource is surely headed on European soil, that is without a significant investment in clean coal technology. Bloomberg Intelligence figures show that US coal production is at its lowest in 29 years, and without action Europe could just as easily find itself falling on the sharp end of a gathering decline. Having shed 330,000 mining jobs since the dawn of democracy back in 1989, the outlook for Poland’s coal sector is not a positive one. Wide-held opposition to the resource and the rise of low carbon alternatives has also done a great deal to speed along the industry’s decline throughout much of Europe, though in Poland the level of support differs from elsewhere. Attempts to shut mines have been greeted largely with protests, and the government has opted to prop up the industry against a tide of weak prices and cheap exports. On hearing of the proposed closure of the four KW mines, workers at nine mines went on strike and, in doing so, rejected the offer of a two-year severance package. With many workers unwilling to budge, mountains of unwanted coal are stacking up alongside mines and a great and growing number of mining companies are leaking money by the day. 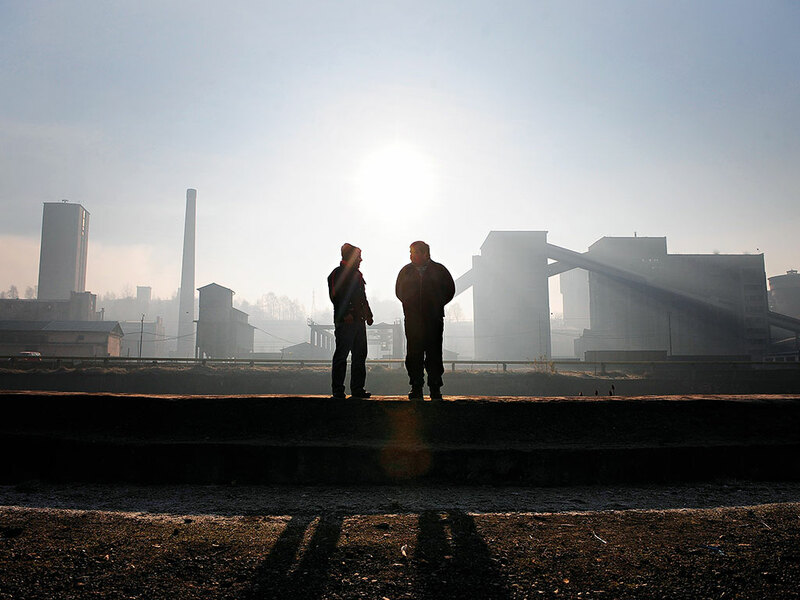 BMI reports that only one in three coal mines are profitable, and a refusal to invest in clean alternatives could tie Poland’s fate to that of coal. However, irrespective of continued efforts to keep Poland’s coal industry burning, cracks have recently begun to show. The Mayor of Krakow, Poland’s second city, announced in October that a ban on coal use in households, offices, government buildings and restaurants would soon come into force as part of a clampdown on pollution. And, while the plan is unlikely to impact major companies in the immediate future, the decision makes clear the fact that policymakers are beginning to acknowledge the dangers. Essentially the situation has evolved into a stalemate between Poland’s coal sector and European policymakers, for whom a gathering low carbon transition takes priority over coal. For as long as Poland fails to realise a more sustainable energy model, the pressure will continue to mount on coal companies like KW. Yet the extent to which the country relies on it means that the solution is not as simple as rejecting the resource outright. Just as coal burning has been curtailed to protect the individual, the same could be applied to the environment, and, as with much of the continent, the pressure on policymakers and companies to pursue cleaner alternatives will be greater as time wears on. KW’s predicament is due more to an issue of cost as opposed to anything else, though added pressure from consumers, as is the case in Krakow, could finally tip the scales against coal.